This spring is all about the menswear look (see my CultureMap article here). 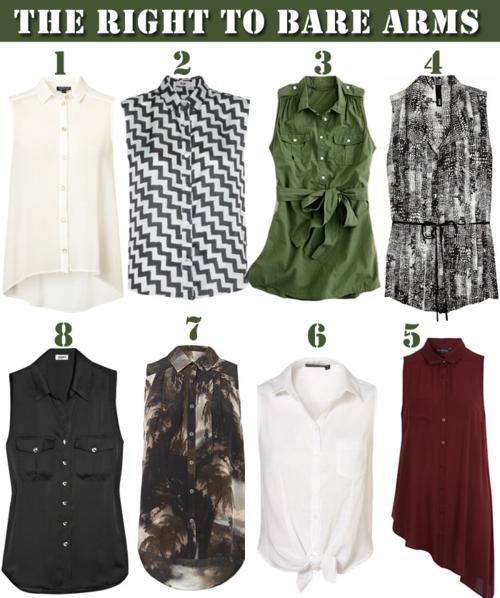 One staple menswear piece that you can’t get wrong is a sleeveless button down blouse. Creating the appearance of a boyish figure, it adds a little edge to what would normally be a feminine blouse. I just ordered this one in white and got an extra 30% off with code SNOWMAN! Here are some options to get you started, but I imagine spring will bring much brighter hues for you to choose from!